Sydenstricker Park and Ride (https://sluglines.com/slug_pickup/Sydenstricker-Rd) is a popular slug pickup location for commuters heading to the Pentagon. For years, the Sydenstricker parking lot with 170 spaces gets full by 7:00 AM. When the parking lot gets full, commuters park along the Hooes road as a overflow parking. 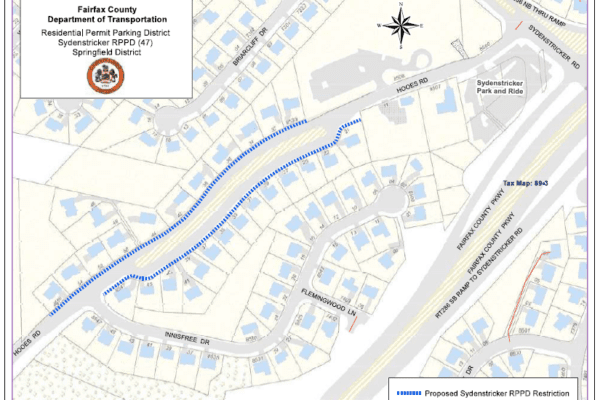 The Fairfax county is proposing parking restrictions to protect the residential area along 8530 Hooes road and 8556 Hooes road on the north and along 8521 Hooes road and 8547 Hooes road on the south. In the survey conducted by the county in Feb, 2018 there were about 30 cars parked on the north side of which 29 were commuter cars, and 13 cars were parked along the southern side of which 10 were commuter cars. Survey doesn't not include the cars that were parked along the island. Parking in this area along the residents will be restricted to residents with parking permit. Commuters are advised not to park along the island, and recommended to park at the Rolling Valley (https://sluglines.com/slug_pickup/Rolling-Valley/) or Saratoga (https://sluglines.com/slug_pickup/Saratoga/) Park and ride lots that are underutilized. 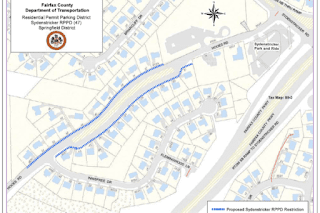 There will be a hearing on September 25, 2018 at 4:00 PM at the Fairfax County Government Center to establish the Sydenstricker Residential Permit Parking District (RPPD).